Well, thats enough culture for now!!! Time to go credit whoring!!! And here we are at our first park. Parco Morelli. Ok, thats where we are right now. Warning. If you credit whore enough, you will be turned into a Dalmation. All right. Thats why we're here!!!! Umm, why the hell is there are a Paris themed coaster in the middle of Rome? "Umm, we tend to figure that people who ride this thing aren't smart enough to ask questions like this, which brings us to what the hell are you doing riding this?" YAY!!! I GOT A CREDIT!!!!!!! Umm, Colin. You do know that Kristen is indeed on the floor right now. Just wanted to make sure you knew. All right. We're now onto Day 3 of the trip. Its officially Credit Whoring Day, and we're off!!! Oh, and on this drive, we literally saw all sorts of crazy sh*t off the side of the road including couches, and all sorts of other garbage. Hell, I think the only thing we didn't see was the kitchen sink. Yep. Our first stop of the day will indeed be Zoomarine. Ooh!!! Is that what I think it is!!!! Yep. Our first stop of the day was Zoomarine, a sort of Italian Knock Off Sea World. It wasn't amazing or anything, but it was nice. It definetly had the best coaster of the day and its the only park we went to on the Credit Whoring Day that I'd go back to. So Zoomarine, you ever thought about getting a nicer entrance? Ahh, the Looping Star doesn't open until around 12:30. But crap!!! We don't have that kind of time!!! Oh well. Lets just get the Wacky Worm out of the way. Or, I guess its really just a Wacky Shark. And hey. Wacky Sharks are cool. 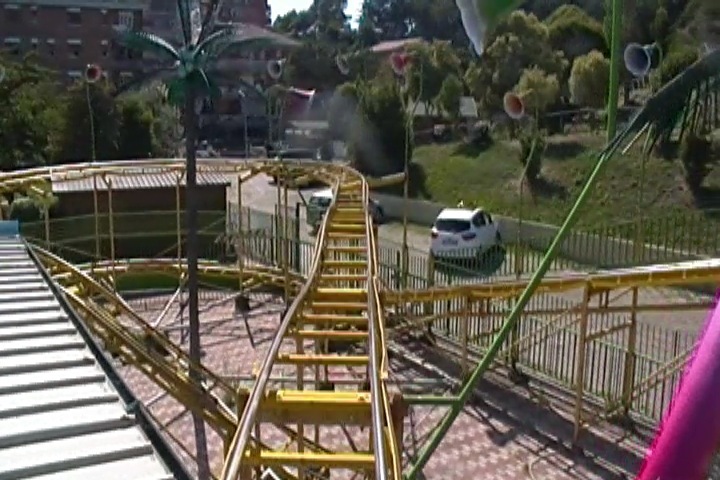 It is such a privelage for us to ride this totally rare and unique coaster with absolutely nothing like it anywhere in the world. Good News!!! 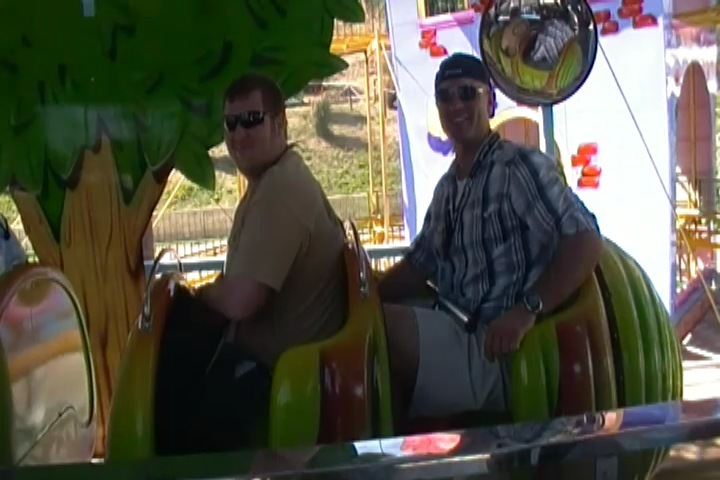 With a bribe of €50, they managed to open up the ride just for us early!!!! Hey, these are really good rides!!! I totally wish there were more Schwarzkoph Looping Stars out there in the world. And more Schwarzkoph rides in general (that aren't ruined *cough* SFMM *cough*!!!). Who needs Sea World when theres Zoomarine!!! See look!!! Animals!!! We have animals!!!! Well, we've got some time to kill. So lets see what all Zoomarine has to offer. One of the things we did at Zoomarine was this Dinosaur exhibit. It was fun and all, but by far the funniest part was when we were in the exhibit. The guide must have said "Look Out!!!" in Italian. Cause I was like "Huh?" And just right then, I was smacked in the face with a Dinosaur Tail. Yeah, it was funny. Crap!!! We made a wrong turn and now we're stuck in Italian Beach Traffic. We made it to our next park of the day. Fantasialand. This place was so nice that they actually had Donald Duck out front to welcome us. Wow. I see Mickey Mouse, Bernard from the Rescuers & Rescuers Down Under, and Basil from the Great Mouse Detective. What is it with this place and Disney Mice? Hey, a credits a credit. BEST COASTER EVER!!!!!! WORTH EVERY SINGLE EURO!!!!! The Dining Options in this park are fabulous. It makes the food at places like Epcot and Silver Dollar City look like complete sh*t.
Yeah. We were rushed for lunch since SOMEONE missed the bus at Zoomarine. All right. Time for our next park. Oasi Park. The credit didn't open for 10 minutes, but thats ok since its just entertaining to be here and look at all the Illegal Disney Stuff. "Is that an old pervert singing about lust over a fireplace? Nope, just credit whores. Meh, practically the same thing." "Hello fellas. Its me, Tweety. A little help here as I seem to have misplaced my body." Dude, theres more Disney Stuff here than there is in my Disneyland Paris Update!!! "Hey guys!!! 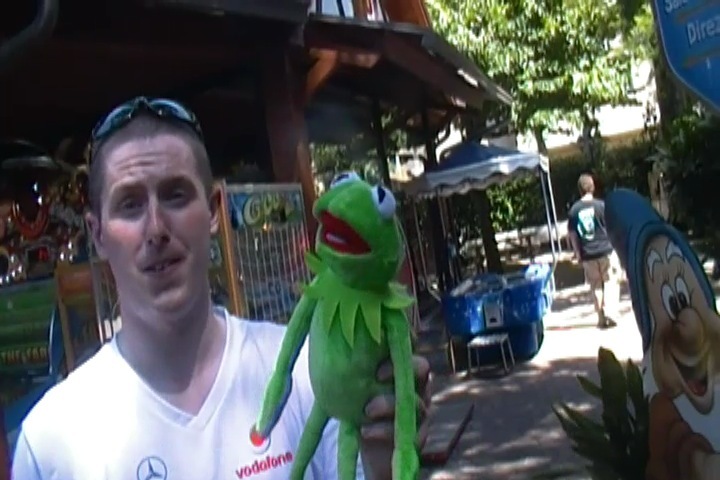 I just won this Kermit!!!!" Along with Disney, Loony Tunes, Pokemon, and Muppets, this park also features infamous evil American Conservative Talk Show Hosts. Damn, Rush Limbaugh really lost some weight. Holy Crap!!! They also have a credit here too!!! It was a fun kiddy coaster, but I wanna go back at laughing at the Disney Stuff. The park was so glad we came that they gave us these free brocures so that we'll always remember Mickey Mouse, Bugs Bunny, and Crappy Credits. Now onto our final park of the day, Eden Park. Hey look!!! More totally legal Disney Stuff!!! "Hey, would you rather see the Disney Characters all over the place or me?" We saved the best for last. ANOTHER WACKY WORM!!!! COME ON GUYS!!!! MORE EXCITEMENT!!!! 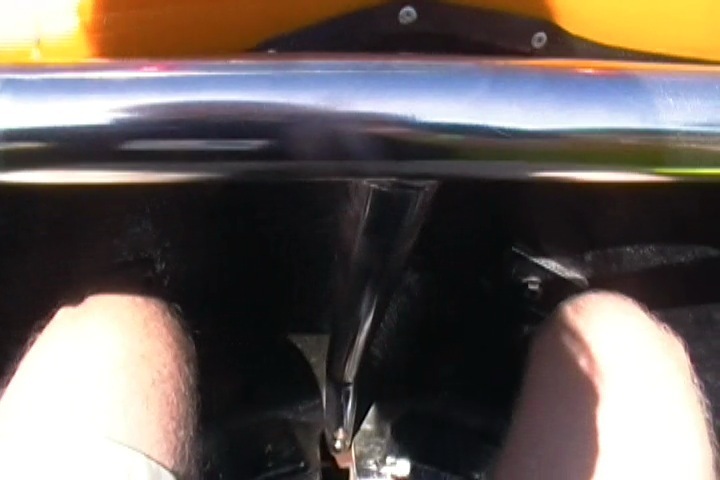 Heres this exclusive front seat on ride shot of the Wacky Worm.